Here’s what’s happening in the world of television for Monday, September 24. All times are Eastern. Jane Fonda In Five Acts (HBO, 8 p.m.): Jane Fonda is 80. Drawn from 21 hours of interviews with its subject, Jane Fonda In Five Acts is a candid, thoughtful look at those 80 years, in which Fonda has lived lots of lives: There’s Jane the fitness mogul, Jane the pinup, Jane the Academy Award winner, Jane the wife (times three), Jane the daughter, Jane the mother, Jane the feminist, and Hanoi Jane. 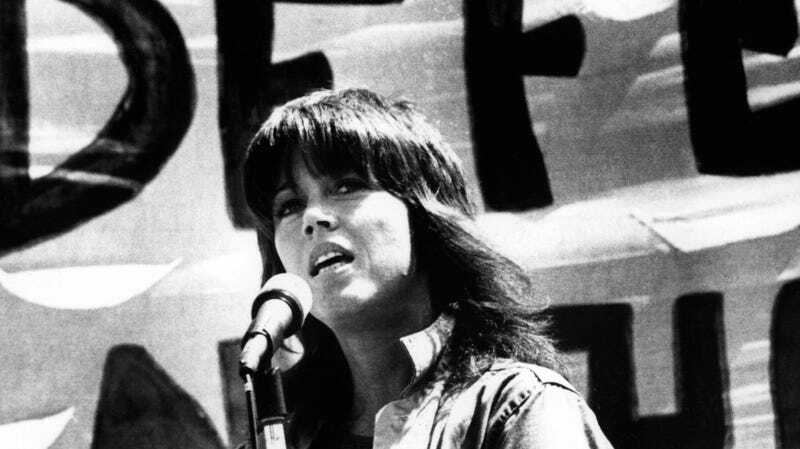 Documentarian Susan Lacey’s film takes in all of them at the beginning of what Fonda calls her “last act.” The first four acts are named for the men who shaped her life in some way; the last act is named for her. Look for Gwen Ihnat’s review later today, and if nothing else, expect some excellent, sharp-tongued barbs from a modern master of the sharp-tongued barb. Manifest (NBC, 10 p.m.): This new series, from Robert Zemeckis and Jack Rapke, is definitely not Lost, no way. It’s more like Lost meets half of Castaway meets the third season of Alias, minus the evil Melissa George stuff. The premise is this: People get on a plane, and it’s a turbulent flight, but a mostly normal one. Then they get off the plane and find out five years have passed, and the people in their lives have mourned them and moved on. The promising cast includes Melissa Roxburgh (Valor), J.R. Ramirez (Marvel’s Jessica Jones), and Josh Dallas (Once Upon A Time), so while the concept might not blow our hair back, it may still be worth a look—if not now, then maybe when we get off the bus five years in the future and all our loved ones have moved on with their lives, leaving no room for us.